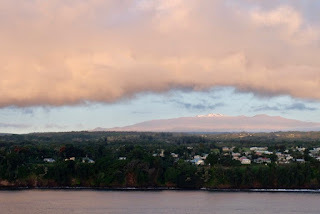 After 5 days at sea sailing across the occasionally rocky North Pacific, the Big Island of Hawaii's dramatic volcanic mountains looming into view made for a very welcome sight. And, this volcanic theme was to continue throughout my day. 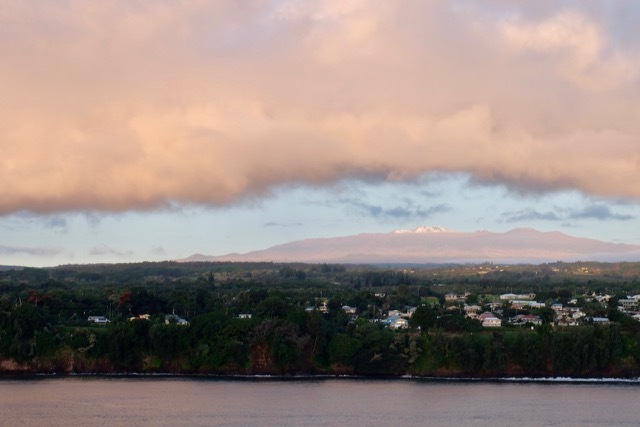 Because, the Big Island is all about its volcanoes – some of the most spectacular scenery you can find on the planet. And, to fully immerse myself in it, I was taking a hiking tour into the crater at Kilauea, which rather worryingly bills itself as the most active volcano in the world. So, we drove for about 45 minutes up from Hilo to the Volcanoes National Park to visit Kilauea - at a height of 4,000 feet above sea level, it's dwarfed by the Big Island's other two dormant volcanoes, which both measure over 13,000 feet. 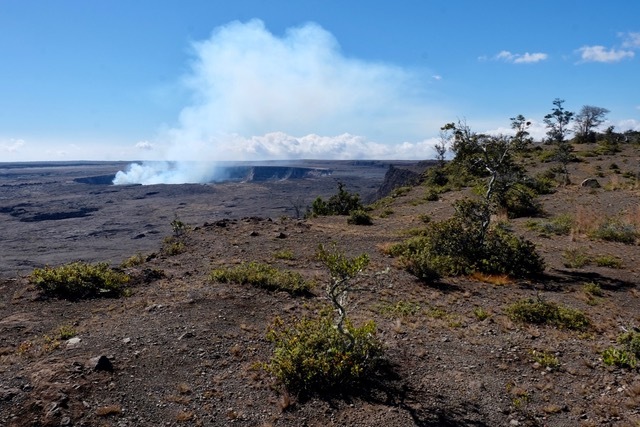 But, what Kilauea lacks in height, it more than makes up for in seismic activity, constantly spewing out gases, steam and lava. 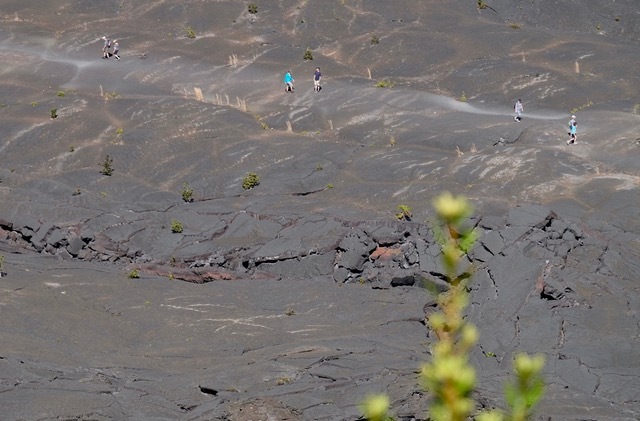 We saw plenty of gases, but sadly no lava – although, maybe that wasn't a bad thing, as we were venturing right into the heart of one of its craters, the awesome Kilauea Iki. Looking down at it from the crater's rim, it was hard to believe that we'd be trekking all the way down there and across its desolate lava field. The age of my group ranged from early 40s to mid-80s, but even though it was a fairly strenuous 6-mile long hike, we all coped very well with the heat, the slopes and the rugged conditions under foot. 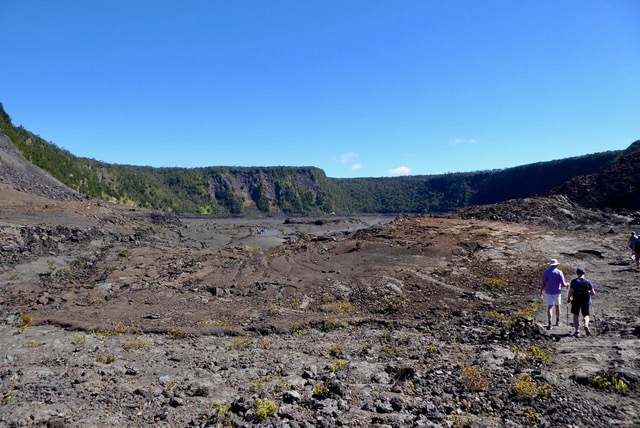 In the 1950s, the crater sprung into life in an incredibly violent eruption that filled up the crater with 400 feet of molten lava. 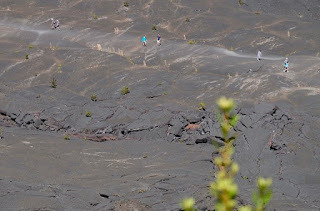 Over the decades, that lava has solidified into the various shapes and patterns that makes up the crater floor – we trekked across rugged plains of loose lava rock, then flat sheets of lava, some of them buckled into the air by the forces of nature below them. Just being inside this awesome crater made you feel very small. What a great introduction to Hawaii's incredible natural attractions! 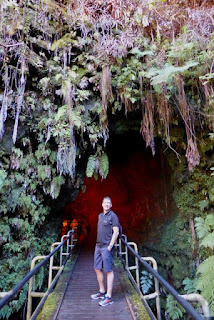 Jan 22nd – Couldn’t Have Been Happier in Apia! January 6th – Let the World Cruise Begin!